Dreamspinner Press, LLC, 9781634777636, 230pp. Benjamin Lector imagines himself a smuggler, a gunrunner, and an all-around scoundrel. A preacher's son turned criminal, first and foremost he is a survivor. When Benjamin is shipwrecked on Dread Island, fortune sends an unlikely savior--a blond savage who is everything Benjamin didn't know he needed. Falling in love with Sun is easy. But pirates have come looking for the remains of Benjamin's cargo, and they find their former slave Sun instead. 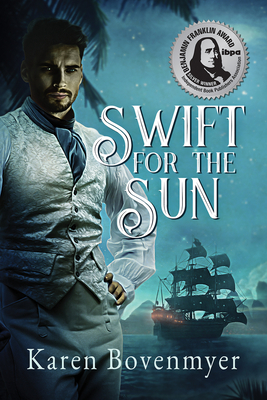 Held captive by the pirates, Benjamin learns the depths of Sun's past and the horrors he endured and was forced to perpetrate. Together, they must not only escape, but prevent a shipment of weapons from making its way to rebellious colonists. Benjamin is determined to save the man he loves and ensure that a peaceful future together is never threatened again. To succeed might require the unthinkable--an altruistic sacrifice.